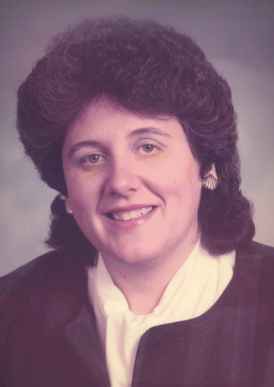 Barbara Ann Schlarb, 67, of Fremont, OH passed away on Wednesday, January 10, 2018 at ProMedica Toledo Hospital. She was born on January 16, 1950 in Fremont to Carl W. and Pearl I. (Adair) Wetzel. She was a 1968 graduate of Fremont Ross where she was in the top ten of her class. She then received a Bachelor’s Degree from Bowling Green State University in Elementary Education. Barb married William R. Schlarb on December 14, 1979 at St. Paul’s Episcopal Church in Fremont and he preceded her in death on April 20, 2007. She was a very devoted and loved Teacher at Hayes and Stamm Elementary Schools for thirty years and retired in 2002. Barb was a member of St. Paul’s Episcopal Church and former member of the Fremont Moose. She enjoyed crafts and was an avid Detroit Tigers and Pittsburgh Steelers fan. Barb is survived by her brother, Mike (Tina) Wetzel, Fremont; sister, Mary (Tom) Schaffer, Warren, OH; nieces and nephews, Jennifer and Jeffrey Carter, Jacob (Angelique) Wetzel, Peter (Leanne) Wetzel, Drew (Kariena) Wetzel, Natalie Ramplin and Brittney (Brian Dalrymple) Schaffer; great nephew and nieces, Zachary Wetzel, Emily Wetzel and Raegan Wetzel. She was preceded in death by her parents; husband, William R. Schlarb. Visitation: Tuesday, January 16, 2018 from 11:00 a.m. to Noon at Wonderly Horvath Hanes Funeral Home and Crematory, 425 E. State St, Fremont, OH. Burial will take place following the visitation at Oakwood Cemetery. I offer up my prayers to the family. Barb was an excellent teacher and loved her students. She has touched many lives over the years and will always be remembered for her loving heart. I know this time is hard on loved ones but cherish the fond memories you have of her. May God give you strength and comfort. Barb was a true friend during our years at Hayes School. Always kind and considerate to all. I don’t think I ever heard an unkind word uttered by her about anything or anyone. I have many fond memories of our years together. I am sure the Fremont students she thought are better people because they had her as an educator. She will be missed by many…..may GOd bring peace to her family in this time of loss. May He bring her home to her everlasting place of rest… I am so very sorry to hear of this loss. I am so saddened by Barb’s passing. We met in junior high school and had maintained contact through the years. She was extremely intelligent, quick witted and a pillar of strength and support to her family. Our phone chats often lasted an hour or more, the last one in December just before Christmas. I know that students in her classes were fortunate to have had her as a teacher. Mike and Mary, sorry for the loss of your sister, and my cousin. Sending heartfelt condolences, may she RIP. If you need anything, I am here for you. A very special person and my favorite teacher of all time-hands down! What a wonderful person and amazing teacher who still kept in touch with many of her students like me who loved her! I will miss you Miss Wetzel/Mrs. Schlarb. Thank you for being such a wonderful influence in my life. So sorry to hear about Barb’s passing. I was looking forward to seeing her at the 50th class reunion this fall. I hadn’t seen Barb in quite a while, since I moved out of Fremont, but for years I would see hear on her front porch as I was driving to work. She always had the most genuine smile and kindest eyes. Will miss her. My deepest condolences. Mrs schlarb was my favorite teacher! I was saddened to hear about Mrs. Schlarb. She was an amazing teacher. She would always read books to us in class. One of my favorite memories is when she read Cheaper By the Dozen. My condolences to her family.